Turning ideas into infrastructure means one thing to IT Architects, engineers, and technicians: diagrams. And usually the idea-to-infrastructure process begins with Visio. Before joining ExtraHop's Solutions Architecture team, I was a network engineer. Every day revolved around those diagrams. Some days I was drawing the future (I hoped) and sometimes we would huddle nervously around a marked-up, coffee-stained printout that described how our infrastructure looked at one point in history. We were nervous because an outage is never the best time to verify whether or not your diagrams are up-to-date. ExtraHop's Activity Maps reveal dependencies between devices. When I first discovered the Activity Map feature as an ExtraHop user, my first reaction was amazement. The second reaction was wishing that I could go back in time and show the feature to myself three years before. 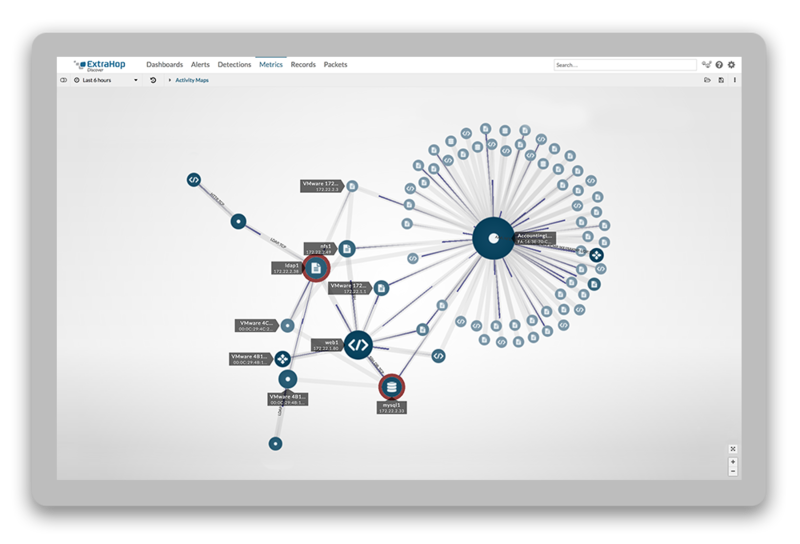 Diagrams begin with reality – The ExtraHop platform automatically discovers and classifies devices by observing L7 communications. There is no need to manually tag devices; the diagram is based on what is actually happening in the environment. Finding unexpected communication between servers – The unknown is scary. 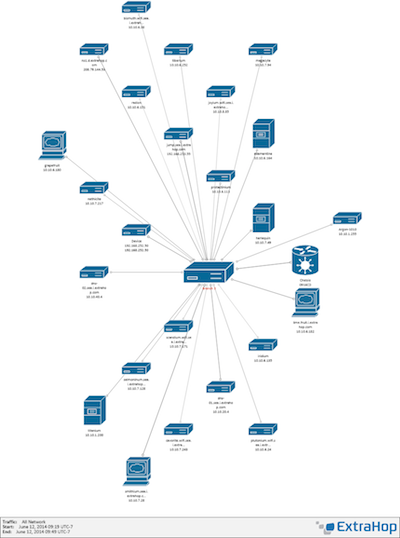 Activity Maps shed light on which servers are talking to one another. Knowing what other services and applications will be affected by a change – With the ability to see dependencies, you can more confidently retire or migrate servers and applications. Introducing the ExtraHop Visio Stencil! A few weeks ago, I asked the ExtraHop product management team to add Visio export to Activity Maps. After about 30 seconds I got a reply—Visio export is already there! 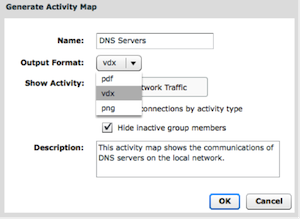 Activity Map export defaults to PDF, but we can do PNG and VDX (Visio's file format) as well. To make up for not knowing about this awesome capability, I took some time to put together this Visio stencil of ExtraHop icons (right-click to Save As ...) and an Omnigraffle stencil for the Mac crowd! This is something we get asked for a lot, and I am excited to share it now! Fun fact: ExtraHop HQ is currently located in what was part of the Visio offices in downtown Seattle, before Microsoft acquired that company. We still have some wall sconces with Visio shapes. Not using ExtraHop yet? Explore our free, interactive demo, to see the power of wire data for yourself.